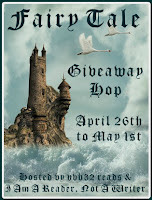 Truly Bookish: Fairy Tale Giveaway Hop! 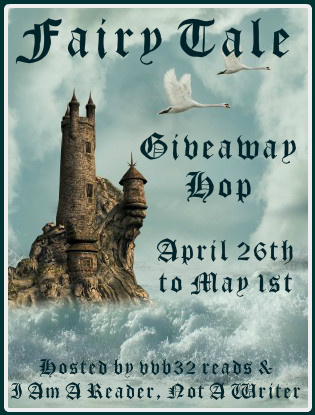 Welcome to the Fairy Tale Giveaway Hop hosted by I Am A Reader Not A Writer and vvb32reads. This hop runs from April 26 – May 1. 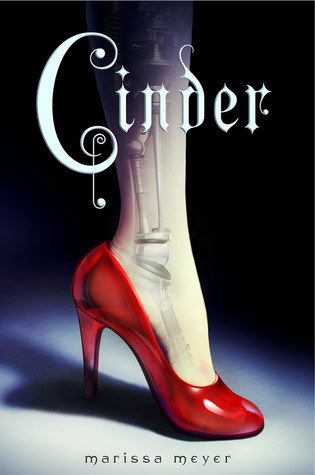 For this hop, I’m giving away an ARC of Cinder by Marissa Meyer. This book is an awesome retelling of Cinderella, you can read my review here. This hop has a twist! For the fairy tale aspect of the hop, I will name fairy tale villains who have been unjustly given a bad name and the books they appear in. 1. The three bears from Goldilocks and the Three Bears. Technically, Goldilocks broke into the bears’ house, ate their food and vandalized their property. Goldilocks is clearly in the wrong but seems to gets a pass because she is pretty and apparently hungry and tired. The bears should have pressed charges. 2. Beast from Beauty and the Beast. Beast has a lot to be angry about. First a witch puts an ugly spell on him then a man he helps steals from him. Under similar circumstance, I would probably be surly too. 3. The witch from Hansel and Gretel. When kids try to eat your house, it’s only fair to catch the kids and eat them, right? Technically, they vandalized her property, so…. Okay, maybe the witch should not have gone that far but let this be a lesson to kids: don’t take candy from strangers and definitely don’t try to eat a stranger’s candy house! Are there any fairy tale villains that you are fond of? Who are your favorites? Let me know in the comments! To enter the giveaway, just fill out the Rafflecopter form below and good luck! Hansel and Gretel is my favorite fairytale by far! Hands down it's always been the witch from Rapunzel who gets the short end of the stick. Man steals from her, Family agrees to trade of child for more of whatever plant it is in the version and then Rapunzel loses herself to hormones and betrays the woman who raised her from the beginning. My favorite villain from a fairytale? That's simple! The wicked stepmother and sisters from "Cinderella" - they are vain and superficial to the point of being almost comical! Ursula the Sea Witch from Disney's Little Mermaid and Millicent from Disney's Sleeping Beauty were some pretty awesome baddies.